SWAAY is a fast-growing online platform for women entrepreneurs. Iman Oubou launched SWAAY in April 2017 to provide a fresh and stylish voice that speaks directly to today’s generation of women entrepreneurs and leaders. Over the past six months, Oubou has steadily built an audience for SWAAY, putting it on track to hit 500,000 unique monthly visitors by December 2017. Oubou’s podcast, Entrepreneurs En Vogue, syndicated by the WestWood One network, draws over 200,000 listeners each week. 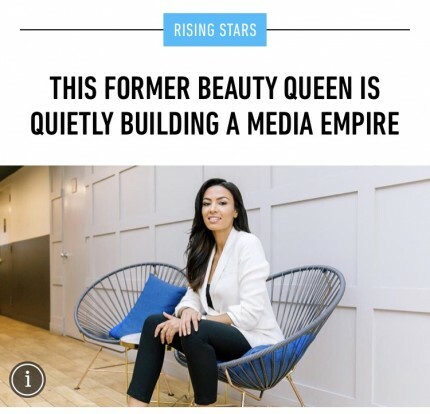 Ozy today profiled SWAAY Media founder Iman Oubou as one of its Rising Stars. SWAAY Media founder Iman Oubou appeared on the Harry Connick Jr. Show today to discuss how she set out to change the way women are portrayed in the media.